This Business Clinic is for You! 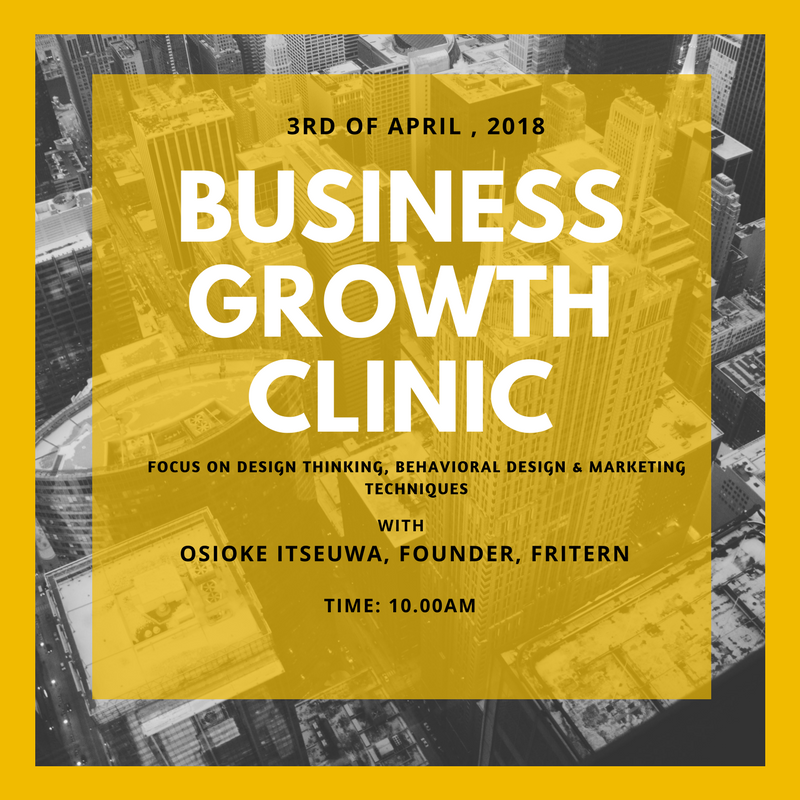 Event: ‘Business Growth Clinic’ with Osioke Itseuwa, Programme Manager, Frintern. use behavioural design to make the product-channel fit work well enough to make the product usage a habit and lots more. Save the date, come with your notepads and invite a friend!